For the second year in a row, Belmont University held strong at No. 5 in U.S. News and World Report’s annual rankings of America’s Best Colleges in the South region. Announced today, Belmont’s ranking at No. 5 for the publication’s 2016 edition marks the University’s 7th consecutive year as a Top 10 institution on the Regional Universities-South listing. The No. 5 ranking demonstrates the University’s continued commitment to student engagement, excellence in teaching and institutional growth, with a record-breaking 2015 enrollment of 7,425 students at the beginning of the fall semester. 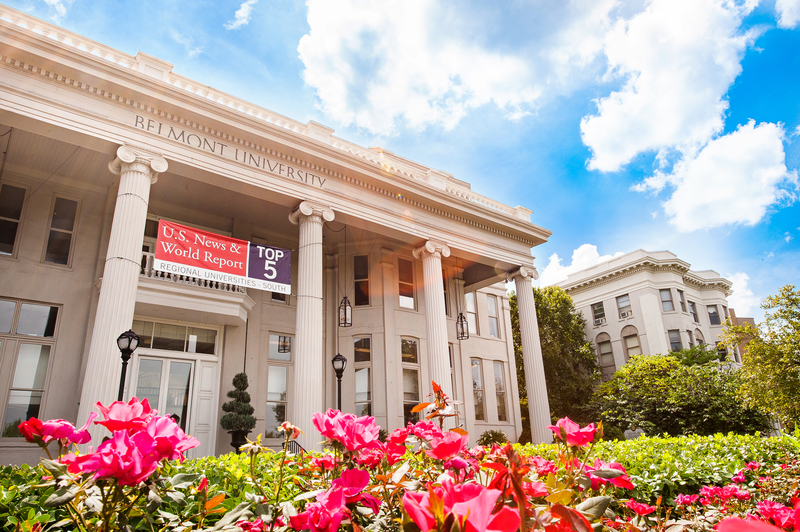 In the Best Regional Universities-South category, Belmont is again the highest-ranked university of the 15 ranked Tennessee institutions in its category, a feat the University has claimed for more than a decade. Other southern regional institutions in the Top 5 included Elon University (NC), Rollins College (FL), The Citadel (SC), Samford University (AL) and Stetson University (FL), who tied with Belmont at No. 5 in the ranking. This places Belmont in a premier position among the 127 public and private institutions included in the South region, an area that covers Tennessee, Virginia, West Virginia, North Carolina, South Carolina, Georgia, Alabama, Florida, Kentucky, Mississippi, Louisiana and Arkansas. U.S. News bases its ranking on a number of measures using the most recently available statistics. Belmont’s graduation rate and overall score, the final measure that indicates how institutions fall in the rankings, made gains over previous reports. Meanwhile, the University’s much lauded enrollment growth was balanced by its commitment to small class sizes and personal attention with a student/faculty ration that remains 13-to-1.